As every politician knows, the trick is to push – but not too much. You want to hit that sweet spot between keeping people comfortable, and stirring them up. But okay, first things first. Having mentioned Austen, I need to say that her writing is gorgeous, her characters finely drawn, her irony pitch-perfect. But of course we know all that. 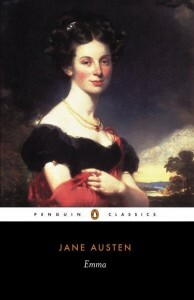 What I’ve been thinking about, as I re-read Emma over the past few weeks, is how Austen makes things possible. Which reminded me that Hetty Bates – the dittery, chattery spinster of Emma – is one of my fictional heroes. Because she’s all about possibility. Oh, it’s lovely writing. The pauses – the gaps – the way Austen captures the breathless joy and squirrel-like distractibility of a lady who finds goodness in everything: well, it makes me happy. That Miss Fairfax and Mr Churchill have been secretly writing to one another (though this revelation is indirect, and apparently unintended). This is a dignified reply from a woman who boasts ‘neither beauty nor cleverness’. But we absolutely believe it. I, for one, can very clearly hear her saying it (and not only because I’ve seen one or two movie adaptations). We see that Mis Bates is ridiculous – we know we’re supposed to sneer, just a little bit, at her spinster status, and the small-mindedness of her incessant chatter – but we sympathise with her, and we learn to trust what she tells us. She’s a kind of comic Cassandra. How, then, has Austen made this possible? How has she placed an ‘old maid’ of low status among the ‘best families’, and not only made her respectable – but admirable? Well, I’d say it’s all about balance. 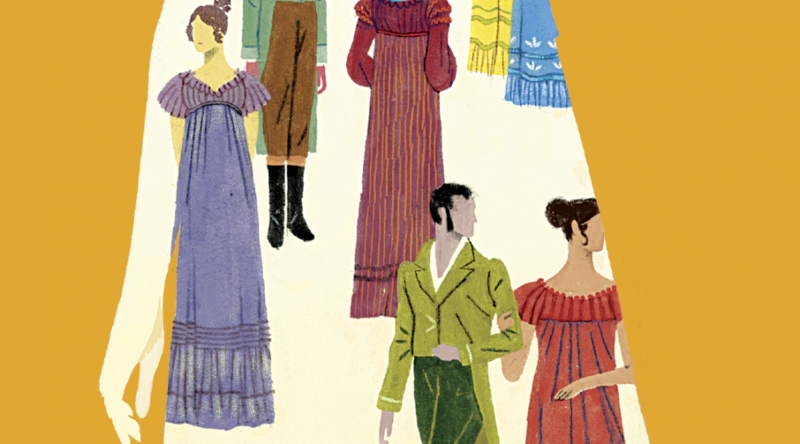 In a sense, Austen gives us two spinsters in Emma – Miss Bates and Emma herself, who declares that she’ll never marry (though of course by the end of the book, she has). As Emma tells a friend, a single woman of fortune need not be ‘comtemptible’ – she may even enjoy some measure of independence. In this way, Emma stretches the norm, but only just so far – she has money (and youth) to cushion her. Miss Bates, of course, has neither money, nor youth – but she has a ‘gift of happiness’. She accepts her situation, is interested in others, and receives charity cheerfully. She’s neither completely cowed by her circumstance, nor resentful of it. She’s therefore acceptable enough (a bit silly, without ambition above her station) to be allowed to speak her own turn and behave, in some ways, as an independent woman. Which – when you consider that Emma was written around the time that Mary Wollstonecraft was fighting the frippery of women’s domestic lives, and 90-odd years before Australian women were allowed to vote – is an achievement. So Austen has pushed things, but not too much. I might add that I see a similar pattern at work in Emma’s marriage to Mr Knightley – after all, it’s a bit unusual, given the time and place, that he moves in with her. But of course everything evens up, to make it possible: it’s all to pacify her father; she’s attained some degree of equal intellectual footing with her husband-to-be (but not too much); and the house, after all, will ultimately belong to Mr Knightley. Sure, some of today’s readers may feel disappointed that Emma has given herself to marriage, and turned away from independence; but mostly, we’re happy for her. We’re able to close this book, ready to smile with her at the misunderstandings and misjudgments the future will undoubtedly bring, knowing that whatever happens, Emma will be a woman who – in her own time, and place – knows herself. Miss Bates, meanwhile, is heading for a future in which her beloved niece Jane is comfortably married (to the secret fiancé), and the Bateses continue to hold an esteemed place in Highbury society. Everyone who should be married, is suitably settled; and everyone who deserves respect, is given it in appropriate measure. Well … sort of. Readers who clicked the link will see that I’ve stretched the metaphor somewhat – but she does have a strange kind of insight and is, in her own way, a bit of a tragic figure. (I also note that others have also made the connection).